There's an old story I love that talks about crabs in a bucket and it's a beautiful anecdote for life. One bright sunny day, a man is strolling along the beach and sees another man fishing in the surf with a bait bucket besides him. As he drew closer he could see that the bait bucket was full of crabs but had no lid on it. "why don't you put a lid on it so then the crabs won't escape" he asked the fisherman. The wise fisherman turns and replies "you see, if there was only one crab in the bucket he would crawl up and quickly escape. However, when there are many crabs in the bucket and one tries to escape, the others will grab hold of it and pull it back in so it will share the same fate as the others". How many people in your life are like those other crabs? Who has pulled you down? Either physically or mentally and stopped you finding freedom? I guarantee someone close to you has. We have all had those crabs in our lives. People who are jealous, insecure or afraid can feel better by stopping you scaling the walls of success rather than make the climb with you. Some crabs may stop you unintentionally. They may be paralyzed by fear themselves, afraid to grow and just feel safe in the bucket. Some crabs may just enjoy pulling you back down. Filling you with self doubt and fear can plaster over their own insecurities. 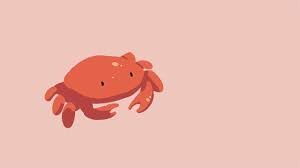 If we want to grow and progress in our lives, we need to identify who our crabs are. Can we raise them up with us? Or do we need to leave them behind? So, who do you need to cut free?